Game localization is that one super powerful and awesome character who joins your team right before you take on the final boss. But in this case, that boss is an international release. We understand your surprise by this sudden addition to your team. Trust us when we tell you that it’s the piece you’ve been missing all along. Before we head into the last stage, let’s take some time to understand the role that game localization will play. Up until now, the game took place solely in the US, but an international release has been looming over you since level one. How can you hit the final boss when it’s larger than you imagined? This is where game localization comes in. He is a “guide” capable of piercing targets near and far. It prepares you to take on different areas of the world. Each area requires a different understanding of its language, culture, and censorship laws. More importantly, this “guide” provides the right knowledge and tools for developers to tailor the game experience for the audience it’s meant for. This can range from translations of all in-game texts to removing game elements not tolerated in a certain culture. Manuals: Your go-to guide with instructions on how to fully experience the game. Contains technical, corporative, and legal texts. Packaging: Mixture of promotional texts, technical information, legal notices, and marketing images. Readme File: A technical document with instructions for last-minute product installment. Official Website: Will include materials from packaging in addition to: previews, reviews, notice boards, customer support, downloadable content, new language patches, screenshots, concept art, screen savers, merchandise, fan blogs, and more. Dialogue: Providing voice-overs and or subtitling for all oral texts. User Interface: Mix of menu options, pop-up windows, and hint captions. A common foe of game localization is blood and gore. More often than not, it is the default setting for many games in the U.S because blood and gore is allowed. Usually, there is an option to reduce or eliminate any sign of the bloodshed. However, elsewhere in the world, any signs of this unfiltered violence would be outlawed. Rockstar Games is a video game publisher company that’s gone toe-to-toe with the law on blood and gore. The company went on to publish Manhunt 2, a psychological horror stealth game with over the top violence. Subsequently, the game was banned for sales in Germany, Ireland, New Zealand, Kuwait, Saudi Arabia, and South Korea. Rockstar Games had to build in graphical filters to obscure the gore in order to make a UK release. Game localization guides game developers by alerting them of the hoops they’ll have to jump through. Do it well and your game might see a truly global release. Why is Game Localization Joining My Team Now? Game developers created a game that they believe are enjoyable and entertaining. If they have any hope of conquering the final level (the international release), then they need to create a game that will engage players from all cultural backgrounds. Players from around the world will miss many nuances if game developers aren’t designing with game localization in mind. Simultaneous Release: This is a route that many AAA games pursue. It involves months of planning in advance for the localization process (translation, voice-overs, and content changes). Game localization is happening at the same time as the production of the primary market version. This allows for a simultaneous release in multiple markets. Post-Gold Localization: Taking this route means your game has already been release in its primary market. In other words, this is a process of doing retroactive adjustments for new international markets. Whichever way you choose to go about it, you’re almost at the final stage. We hope by now you realize the importance of game localization in your quest to defeat the final boss. It is by no means short of a daunting task. 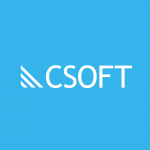 With extensive experience in game localization, CSOFT is a great ally to employ for your team. On your journey to share a fantastic game with the world, bringing a game localization ally on board would be a rewarding endeavor. Before we let you go, are you curious about game localization, or the services CSOFT can offer? Give us a call at +1-415-889-8989 in North America, +86-10-5736-6000 in Europe and Asia, or contact us here.